Lonnie Wheatley, TULSA, Okla. (March 3, 2015) – With pulses quickening as we ease into March Madness, it’s time for a few moments to gaze back at the best of a fast-paced February. 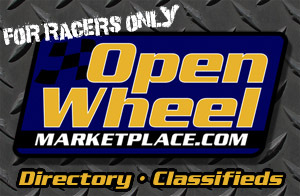 With that in mind, this random edition of Tuesday’s Top Ten offers up the best dirt trackin’, open wheel performers of the previous month where the focal point of activity was Florida with the World of Outlaws, All Stars, USAC and ASCS all launching 2015 campaigns. 1. 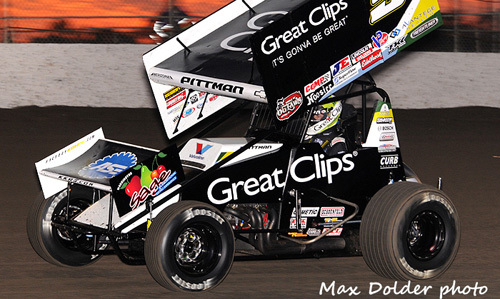 Daryn Pittman – The 2013 World of Outlaws champ came out of his corner slugging, picking off the final All Star feature win of the month at Volusia and then taking the World of Outlaws opener the next night to make it back-to-back wins atop the self-proclaimed “World’s Fastest Half-Mile”. By the end of the Sprint Car portion of Volusia Speedway Park’s DIRTcar Nationals, the Owasso, OK, native had racked up enough overall points to take the Big Gator that goes to the champ. The toughest February trophy to wrangle lands Pittman the top spot. 2. Robert Ballou – Nothing glitzy about the Ballou camp in comparison to Pittman’s KKR ranks, Ballou was the only driver to pick off multiple wins in USAC’s season opening Winter Dirt Games at Ocala and East Bay that was shortened from six races to five with the cancelation of Saturday’s East Bay finale. Ballou book-ended the five-race swing with a win in the Ocala opener and then averted near disaster on the last lap to win what proved to be the finale on Friday at East Bay. 3. Kerry Madsen – The Madman swept through three All Star nights at Ocala before setting quick time on all three World of Outlaws nights in Volusia. And then he promptly returned to native Australia where he won the World Series Sprintcar finale at the Perth Motorplex. 4. Aaron Reutzel – The hits just keep coming for the latest sensation in Sprint Car racing. The Clute, TX, racer opened and closed in Ocala with an East Bay “King of 360’s” prelim win and runner-up finish in the $10,000-to-win Ronald Laney Memorial sandwiched between a runner-up finish in the All Star opener at Ocala and an ASCS romp this past Friday to take the early ASCS National points lead. 5. Brad Sweet – The Big Cat opened his second full World of Outlaws campaign with a pair of fifth-place runs before finishing off five Volusia nights with a triumph to take the WoO points lead to Vegas, where the Outlaws return to action on Wednesday and Thursday before moving on to Tucson. Sweet is the defending Tucson winner. 6. Chase Stockon – Speaking of points leaders along with Reutzel and Sweet, Stockon of just one ‘t’ escaped Florida atop USAC points after setting quick time in three of five events (Brady Bacon took the other two), including the final pair at East Bay. 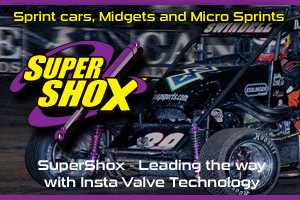 While denied victory lane, Stockon was one of just two drivers to finish among the top ten in all five features (the other was C.J. Leary) and was top-five on four occasions including runner-ups in the opening pair of Ocala events. 7. Mark Smith – The relatively unheralded Posse shoe proved the best of 67 East Bay entries by outlasting Aaron Reutzel for the $10,000-to-win Ronald Laney Memorial prize that put the wraps on the “King of 360’s” Nationals. It culminated Smith’s climb up the podium from third in the Thursday opener to second in the Friday prelim. 8. Brooke Tatnell – Notable Sprint Car moments weren’t confined to stateside action in Florida, with Tatnell stealing a ninth World Series Sprintcar championship in the February 21 series’ season finale before finishing off the month with a sweep of this past weekend’s Krikke Boys Shootout at Bunbury. While the Sunday finale was technically March 1 “Down Under”, it was close enough to register as February in U.S. time. 9. Kevin Thomas, Jr. – The only driver other than Stockon to post four top-fives in the initial five USAC events, KT was the only one with a shot at the $5,000 East Bay sweep bonus after winning Thursday’s opener. 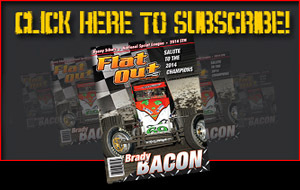 A third-place Friday finish after taking out Bacon reduced the bonus potential to $500 before Saturday rains assured no repeat East Bay victors. 10. Jason Sides – The Bartlett, TN, racer opened as strong as he has in recent years with a pair of top-ten World of Outlaw runs at Volusia before picking off the Friday night win in East Bay “King of 360’s” action. Fourth in the DIRTcar Nationals finale at Volusia, “Double Down” rolls into Vegas this week, where he picked off just one of three top-fives last year. And they were spread painfully wide apart with a fourth at Las Vegas on March 6, a fifth at Dodge City on July 4 and a fourth at Fremont on October 18. Early signs would indicate a much-improved Sides season is in the cards. That puts the wraps on this random edition of Tuesday’s Top Ten.